Nearns, E.H., et al. [in prep] Molecular Phylogenetic Analysis of the Longhorned Beetle Subfamilies Prioninae and Parandrinae (Coleoptera: Cerambycidae). Nearns, E.H. and K.B. Miller. 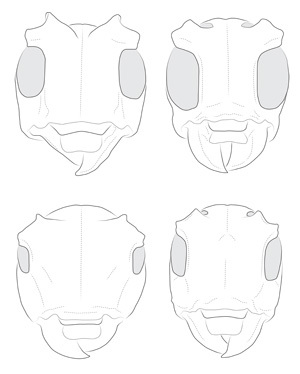 [in prep] Morphological study and cladistic analysis of the tribe Onciderini Thomson, 1860 (Coleoptera: Cerambycidae: Lamiinae). Swift, I.P. and E.H. Nearns. [in prep] A New Genus and Species of Colobotheini Thomson, 1860 (Coleoptera: Cerambycidae: Lamiinae) from Costa Rica and Panama.